Stamps. We all love our stamps, don't we? Did you know they are double sided? Squeal! Are you starting to see what I'm talking about? 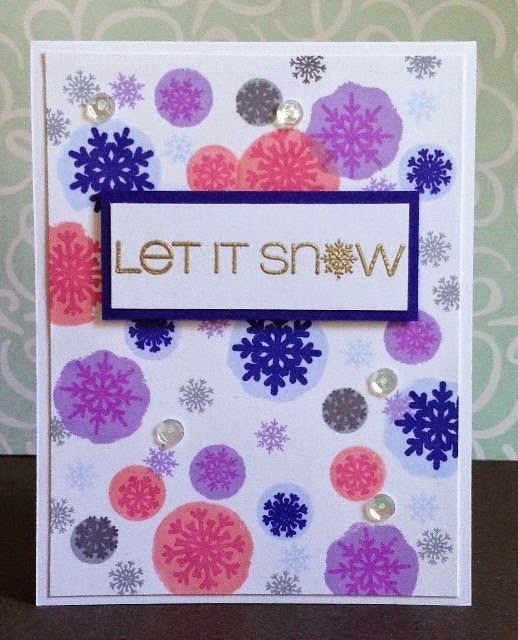 Using our Snowflake Greetings, she used the back side of the stamps to create that solid mask, then stamped the "proper" side in a different color over the top! Have you marked your calendars yet to join us for Black Friday, Small Business Saturday, Cyber Monday weekend? We'll be kicking it off with a Flurry of excitement that you won't want to miss! super fun and colorful! love it. Oh, this is GORGEOUS!!! Love it!